'Real people, real wine, real character' was the philosophy behind Rob Dolan's new venture. After twenty-five years finessing his craft for some of Australia's most respected wine labels, 2010 marked a significant milestone in Rob's career - the year to launch his own label, aptly titled Rob Dolan Wines. In 2011, Rob was able to purchase the Hardys Yarra Burn winery located in South Warrandyte, just 30 minutes from Melbourne’s CBD. The Winery came well equipped and runs as a fully functioning state of the art winemaking facility capable of processing more than 1,000 tonnes each vintage. 2012 saw the release of the first Rob Dolan wines from vintage 2010 crafted from fruit grown by friends and grape growers who have supported Rob throughout his time in the Yarra Valley. 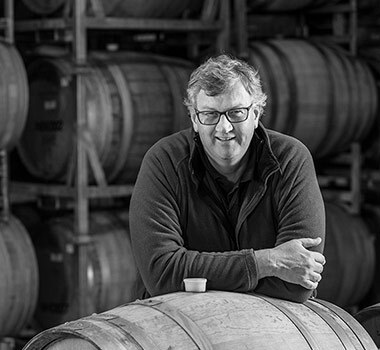 In 2013 Rob Dolan Wines was announced the 2014 Winner – Newcomer Winery of the Year at the James Halliday Australian Wine Companion Awards, one of four major awards on the night. We are in the process of designing a new state of the art website and in conjunction will be launching an exciting Member's Club called 'The Huddle', keep checking the web page for updates.